Using the kidney-on-a-chip, the team was able to demonstrate that a single dose of gentamicin, a drug commonly used in intensive care units, was less toxic to the kidneys than the identical quantity of gentamicin infused over a longer period. This type of study was something that could not be done well in animals because drug clearance is much faster than humans. 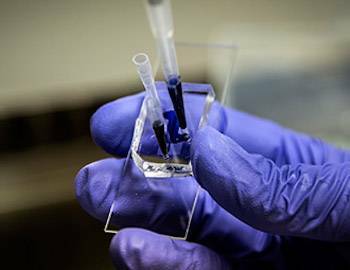 A new kidney-on-a-chip developed by scientists at the University of Michigan has proven superior to animal testing in assessing a drug’s influence on these vulnerable organs, which are responsible for filtering toxins from the blood. Composed of a layer of cultured human kidney cells surrounded by permeable polyester membranes, the chip accurately evaluates how medications affect the kidneys by demonstrating precisely how drugs flow across human kidney cells. It is believed to be the first such device to closely replicate this process. Kidney damage due to medication continues to be a serious problem for many patients, especially those in intensive care units, who often need high doses to combat critical conditions. Up to 20 percent of kidney damage in ICU patients is due to drug toxicity. But finding the right dose can be challenging. Animal tests are often incorrect because animal kidneys filter drugs differently than humans. This is not surprising, given crucial anatomical differences between species. The human kidney has close to 100 times more nephrons – the functional units of kidneys – compared to the mouse. This means there are vast differences between the mouse and human kidneys in their capacities to filter toxins. "A kidney on a chip enables us to simulate that filtering process, providing a much more accurate way to study how medications behave in the body," says Shuichi Takayama, professor of biomedical engineering at University of Michigan. Using the kidney-on-a-chip, the team was able to demonstrate that a single dose of gentamicin, a drug commonly used in intensive care units, was less toxic to the kidneys than the identical quantity of gentamicin infused over a longer period. “This type of study was something that could not be done well in animals because drug clearance is much faster than humans,” said Dr. Takayama. The kidney-on-a-chip provides researchers with the ability to quickly run multiple tests in a highly controlled environment, unlike animal studies that are inhumane, costly, time-consuming and correlate poorly with human outcomes. A single toxicity trial to evaluate kidney damage in animals can use 160 rats and 32 dogs, spanning weeks to months. 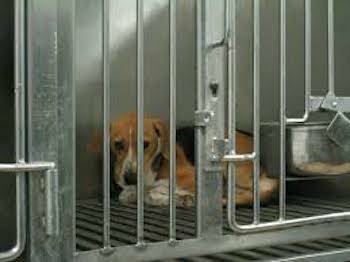 Animals who survive one trial may be used in subsequent trials, depending on the outcomes. Almost all die, either as a result of the toxic exposure, or are killed to study their tissues. 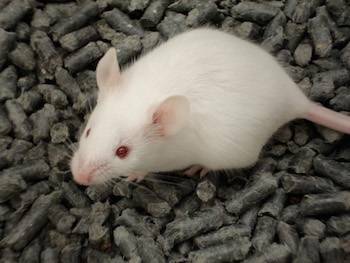 "We were able to get results that better relate to human physiology, at least in terms of dosing effects, than what's currently possible to obtain from common animal tests," Dr. Takayama said. Dr. Takayama and his team envision the creation of additional devices to obtain detailed information on how medications affect other vital organs, like the heart and liver. Doing so will allow scientists to test drugs more efficiently – and certainly more humanely – than animal tests, bringing safer medications to market more quickly and at less cost.